The Diocese has released the date for our Confirmation liturgy, and we have scheduled our mystagogy session in accordance with that date as well. The Confirmation 2019 calendar is now fully complete and updated - check below to make sure you know where and when to arrive for our last module, the liturgy itself, and our mystagogy session. You can also download a digital copy of the January calendar update here. Confirmation is a very important moment in the life of a young disciple. Confirmation is when we are sealed by the Holy Spirit, and for most young Catholics it represents the moment when they complete their sacraments of initiation and begin an important new stage in their ongoing walk with Christ. We are so blessed that we get to help walk with you in this journey. Below is some of the logistical information that can help you prepare for this sacrament. Our Confirmation preparation will consist of four modules and a retreat, followed by a shorter session after the celebration of the liturgy. Our preparation schedule is below. The date of Confirmation itself and the post-liturgy session will be announced at a later date, as we have to wait to hear from the Bishop's Office about when he will be visiting us to celebrate the liturgy. Intake Interview, scheduled individually between the student and Mrs. Cottam, to be completed prior to the retreat on November 16th. Retreat and Module #2, Evening of Friday, November 16-Evening of Saturday, November 17; drop-off 5:30pm Friday at the Comboni Missionary Sisters Retreat House, Pick-up 6:30pm Saturday at Our Lady of Lourdes Church. 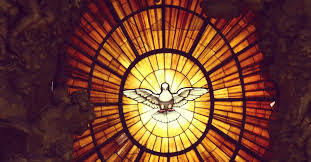 Confirmation Liturgy: Tuesday, March 19 at 7:00pm at Our Lady of Lourdes. Sponsors and candidates make sure to arrive no later than 6:30pm.